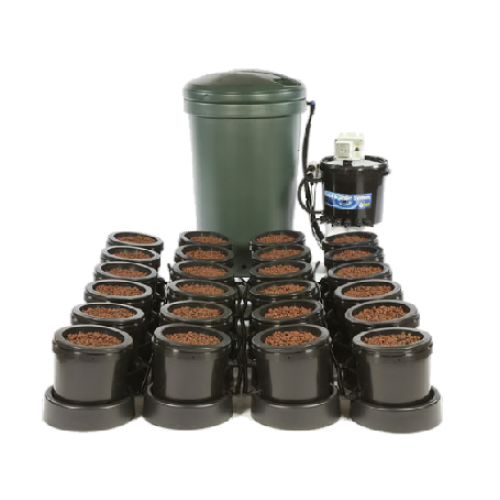 The IWS 24 Pot Flood & Drain System is the finest horticulutral system of it\'s type on the market to date. We specialise in active technology utilising the very best products giving your plants the greatest chance of success. The IWS Flood & Drain System delivers water based nutrients to your plants via a pump. As the water is forced through your growing medium of choice it replaces all the stale oxygen in your pots with fresh oxygen giving your roots a boost every time they feed.